The consultancy was established in 1989 by Robin Schneider and Rachael Ross, co-authors of ‘From Equality To Diversity’ (the UK’s first business textbook on diversity) and they both still lead client projects. The wider Schneider~Ross team includes a diverse, highly professional and experienced group of consultants able to work effectively with different types of client in different situations. We have a variety of backgrounds – from multinationals, management consultancies, academia and the public sector. Rachael Ross co-founded Schneider~Ross in 1989, following a career in Human Resources and Industrial Relations with Esso, where she launched Esso’s approach to equal opportunities in the mid 1980’s. She then spent a number of years as a change consultant and coach with the Coverdale Organisation. In 1992 she published “From Equality to Diversity – a business case for equal opportunities”, written with Robin Schneider, and published by Pitman Publishing, which has been widely used both in the UK and internationally as a reference for people working to make progress on equal opportunities and diversity. Rachael works as a coach and consultant in the private and public sectors, coaching senior leaders on developing the skills in “inclusive leadership,” and facilitating workshops to help them align their own values and their organisation’s, along with building confidence in leading on diversity and change. She has acted as expert consultant to the Equal Opportunities Commission and Cambridge University Gender Studies Development Committee. She has also always had a strong interest in cultural differences, has an MA in Modern Languages from Cambridge University, and has lived and worked in Austria, France and Germany and speaks French and German. She is a member of the International Coach Federation, a member of CIPD, and a member of the RSA. She has worked with a variety of clients in the private and public sectors including: Atos, BOC, BP, Cambridge University, The Crown Estate, The Equal Opportunities Commission, HM Revenue & Customs, MOD, Pearson plc, Scott Wilson, Southampton University, Standard Chartered Bank, Taylor Wessing, Wilberforce Chambers and Unilever. Born to a Swiss French mother and a Swiss German father and brought up in the UK, Robin had an early interest in cross-cultural issues! In 1989 Robin co-founded Schneider~Ross as a consultancy specialising in diversity. With his partner Rachael Ross, he wrote the UK’s first business textbook on diversity, which was published in 1992. Since then, the business they founded has become a global leader in helping organisations tackle diversity and inclusion as a key business priority. Robin has worked across the world – in the developing economies of Asia, the Middle East and Africa as well as in Europe and North America. Robin works with a wide range of organisations to help them develop strategies to develop inclusive cultures so that they can make the most of society’s diversity. Clients include both leading multinationals and prestigious public sector organisations in the UK. In 2000, he helped BP found the Global Diversity Network which includes a range of prestigious multinationals who are committed to taking a leading-edge approach to diversity globally. He continues to work closely with the GDN. Recognised as a leading authority on diversity, Robin has been invited to speak at conference platforms across the world. In addition to his client specific work, Robin has led a number of research projects commissioned by the UK government. Robin has a hearing impairment and throughout his career has been involved in helping companies take a positive stance on disability. He is a graduate of Oxford University and is a Fellow of the Royal Society of the Arts. Karen joined the internal services team at Schneider~Ross in July 2002. Karen wears many hats to support the Schneider~Ross team and our clients including client liaison, marketing and sales support. Ruth is highly experienced in working with small to medium sized organisations, and has worked as the Financial Controller for Schneider~Ross since 1997. She supports the organisation on all financial matters, and also liaises with suppliers and clients on all contractual details. Patricia Chalé’s background incorporates more than 25 years experience as an HR practitioner in a variety of organisations both private and public. She has worked within the Human Resource and Organisational Development spheres acquiring extensive senior level Human Resource Management experience both on the domestic and international fronts (US, Europe, Africa and the Middle East) as well as across the entire human resource management spectrum. She has significant experience in both the private and public sectors including Government, Voluntary and Charitable Organisations, Financial Services, Automotive, Retailing, Leisure, FMCG, IT, Print and Broadcast media. Patricia is now working on a consultancy basis and has been involved in a number of high profile projects both in the UK and overseas, to help them develop strategies to integrate equality and diversity into their organisational culture and national capacity building intitiatives. She has worked as an Associate with Schneider~Ross for clients such as Amnesty International on a review of their Cultural Diversity and Equal Opportunities Policy; the Learning & Skills Council reviewing the last two years of their race equality scheme; Nottingham Trent University on a cultural audit; as well as also working with Robin Schneider on the Race Equality Task Force project for IPPR where she undertook research into race equality in the private sector. Valerie Russell Emmott was born in Germany to an American father and a French mother, and was raised in a half-dozen countries around the world. She has lived in the UK since 1993, not including a recent four-year stint in Brussels. Working with Schneider~Ross since 2001, Valerie has delivered global diversity, corporate social responsibility and organisational culture change programmes for Rexam, O2, Imperial College, Lloyds TSB, and Business Link. She has also been involved in coordinating the Global Diversity Network. An accomplished equality, diversity and inclusion facilitator, she supports clients in the public, private and third sectors to embed change. Valerie also has specialist knowledge in the inter-linked areas of culture, faith and belief, and is certified in multifaith diversity and anti-discrimination (including combating Islamophobia and antisemitism). Her previous career included roles with Equality South West, Cable and Wireless plc and British Telecom. Valerie currently serves as a community representative on the Bristol Multifaith Forum and the Bristol Somali Forum, and has managed community cohesion projects for Salaam Shalom Media. Valerie has an MBA from the Wharton School at the University of Pennsylvania, and a BA from Yale University. Catherine Hamilton has spent over 20 years in the private sector and has significant experience of working as an internal consultant on identifying and implementing both learning and development as well as inclusion and diversity solutions to a wide range of clients. Catherine has worked in partnership with coaching experts to deliver training programmes and partnered with a live theatre forum to deliver an inclusive leadership experience. As an operational line manager Catherine is able to base her development ideas on real scenarios. She has a broad experience of developing competency frameworks for new business, and innovative learning solutions to meet personal and business needs. Catherine is passionate about developing others and providing accessible and memorable learning. Catherine has an honours degree in Sociology, an NVQ in Learning & Development and has subsequently studied for a Coaching Diploma. John McLellan, is an experienced consultant with expert knowledge of equality and diversity together with broader management and leadership know-how gained across the public, private and not-for-profit sectors. In addition to assignments with Schneider-Ross, John is currently working as an equality and diversity adviser to the NHS, dealing with strategy and implementation within leading hospitals. In this capacity, he is also one of a team working with the Equality and Human Rights Commission on non-statutory guidelines for the Equality Act 2010 to be applied to the UK health and social services sectors. John has led and been part of teams working on many E&D projects within a variety of public and private organisations, including Lloyds-TSB, Cambridge University, Oxford University, Scottish Widows, The Privy Council and the MoD. These projects have included strategy determination, change management interventions, diagnostics around inclusion and exclusion, and action planning. In all cases, John’s focus has been on making sure the client gets real value from the work and an understanding of how to take things forward that fit with the client’s overall ambitions. Before working as a consultant, John had a successful management career in the BBC, the National Freight Consortium during privatisation, and running his own video and film production company. He has held senior management positions and been responsible for large-scale change management, team management, strategy and implementation planning. Sheridan O’Sheas, speciality is the mainstreaming of diversity and inclusion practice into organisations. Having a strong focus on culture and faith, she holds a European certificate in multi-faith diversity and anti-discrimination practice. Sheridan co-authored the Review for the Ministry of Justice which examined employee networks to ensure alignment with the business and the changing culture of HMPS. Sheridan has been working with our client Enterprise Holdings for over nine years now, consulting and implementing many aspects of their diversity strategy. 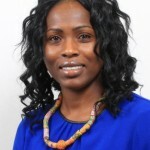 Akua Doreen Owusu-Akonor is a senior HR professional with international experience in UK, Europe and Africa. 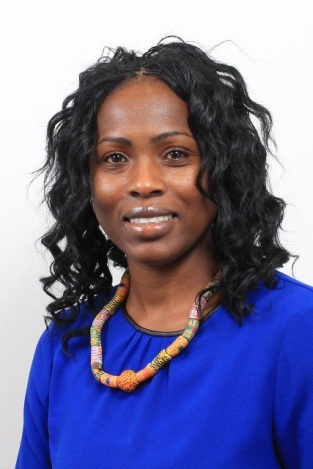 Akua’s passion for diversity and inclusion began during her research project as part of her master’s programme which was sponsored by the then Commission for Racial Equality in the UK. Her experience spans over 10 years in both the private and public sectors covering various industries including Facilities and Asset Management, Housing, IT, and Telecommunications. Most recently, she was Group Commercial Human Resources Business Partner at Vodafone Group. Previously, she worked on the transformation programme following Vodafone’s acquisition of Ghana Telecom and she then took up the position of the Head of Diversity & Inclusion in Ghana. During this time Vodafone Ghana achieved a 50:50 ratio at Exco level and won an internal D&I award. Ann Musser grew up in a small rural community in central USA. She knew from an early age that she wanted to reach out and experience a broader world. So, she chose a large multi-national company, Royal Dutch Shell, and spent 29 years there in human resources, organization development and talent management. The combination of these experiences eventually led her to diversity and inclusion. She became Global Head of D&I in 2004, stationed in London. She pulled heavily from her experience working with senior leaders in large-scale change efforts to mainstream D&I into the various global business streams within Shell. This included strengthening leadership accountability for D&I, as well as integrating it into the organisation’s culture and HR systems/processes. This was critical given Shell operates in over 130 countries and territories with a workforce of over 100,000 people.During 2005-2006, she led a global study dealing with the progression and retention of women in Shell. The assessment, and recommended pathway forward, culminated in Shell being recognized as an “exemplar company” in the UK by the Women and Work Commission and by the then Prime Minister Tony Blair. After retiring from Shell, Ann established a consulting business, DiversityWorks, to assist multi-national organizations in the development and implementation of their diversity and inclusion strategies. She approaches this work from a belief that D&I is not a separate stream of activity but rather a part of the overall business strategy, talent management, and the day-to-day way of working together. She holds a Bachelor’s degree in Psychology and a Masters in Industrial Relations from Purdue University. Andrew Wakelin, is a senior equality, diversity & inclusion practitioner with extensive experience in every aspect of the profession. Over the last 18 years, this has included research, analysis, strategy development, and the direction and implementation of diversity change management programmes. Much of his current work focusses on the scientific analysis of equality and diversity data. He has undertaken a considerable amount of work around equal pay, including undertaking detailed analyses, diagnosing root causes, designing new pay methodologies, all leading to proven gap closures. In addition to achieving equal pay, other recent analytical projects include diversity reporting on staff opinion surveys, customer advocacy scores, and workforce profiles. By applying advanced methodologies and modelling techniques (for example, multivariate regression analysis) Andrew is able to help organisations identify their specific diversity challenges this ensures they can build robust and sophisticated business cases. Within the public sector to help organisations demonstrate full compliance with their Equalities Duties. In addition to his work around diversity metrics, surveys, and dashboards, Andrew also has particular interests in positive action training (and regularly provides career coaching on these programmes), flexible working, employee diversity networks, and customer diversity. He has a strong interest in the direction of the profession and over a number of years sat on a wide variety of national equality and diversity committees and bodies. Before joining the Schneider-Ross team, Andrew was the senior diversity and inclusion manager for Lloyds Banking Group and whilst in that role, Lloyds achieved the number one position in every major diversity benchmark in the UK. Andrew is renowned for his clear focus, always operating with complete integrity and a strong reputation for delivering successful projects on time and within budget. He is passionate about getting the best out of people and has led teams, acted as a mentor and coached numerous colleagues for over 20 years. Alexis Walmsley, As Associate Research Consultant Alexis has a range of responsibilities including being the central point for all research and diagnostic projects for Schneider~ Ross. Alexis has been part of the Schneider~Ross team for over 13 years both as an employee and as an associate. Over the years, Alexis has led on many of the ground-breaking surveys carried out by Schneider~Ross– particularly in Higher Education (at Cranfield and the Institute of Education) and Whitehall (the largest survey conducted in the UK on sexual harassment for the Ministry of Defence). At the start of 2011 the Equality Challenge Unit published Effective Equality Surveys. This was a practical guide to designing and using surveys that provokes thinking around the best way to understand staff and student experiences and perceptions of equality (which Alexis co-authored with Robin Schneider). Alexis has had wide experience of the Equality Duties having been part of the research team that published Towards Racial Equality in 2003 – the review for the Commission for Racial Equality conducted in the first year of implementation of the race equality duty. Building on this, Alexis worked on The Public Sector Equality Duties – Making an Impact and co-authored (with Robin Schneider) the research for the Government Equalities Office on the costs and effectiveness of the public duties which played an important role in shaping recent equality legislation changes. More recently she has collaborated with fellow associate consultants on undertaking equality reviews. In addition to her work with public sector clients, she also works regularly with the private sector and the Global Diversity Network. A Director and Trustee of the national charity Working Families, Alexis particularly enjoys writing and has contributed to IDS Diversity at Work and Positive Parenting’s specialist manual for professionals working with the parents of newly diagnosed disabled children. She also contributes to the newsletter published by Working Families as part of their ‘Waving Not Drowning’ initiative for working parents of children with a disability. Tony Warner,is a highly regarded diversity trainer with experience in the public and voluntary sectors. He has delivered training extensively in the police and criminal justice sectors. Other commitments include membership of the NHS south-east London race equality network and working on 12 and 26 week long in school mentoring programmes to raise self esteem and academic performance.For Schneider~Ross Tony has led major programmes for the Museum of London, Enterprise-Rent-A-Car and Southampton University. As part of both of these contracts he has been transferring his expertise to itnernal trainers so that they are equipped to cascade Schneider~Ross programmes further down the organisation and support line managers in the process of change.